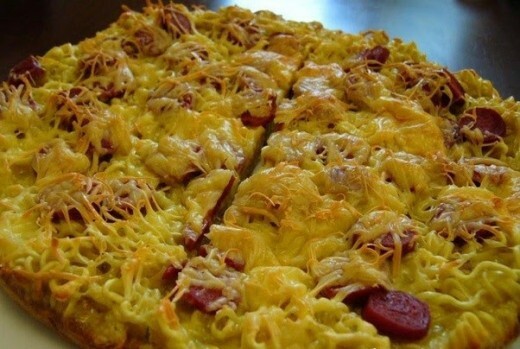 How To Make Noodle Omelet ? 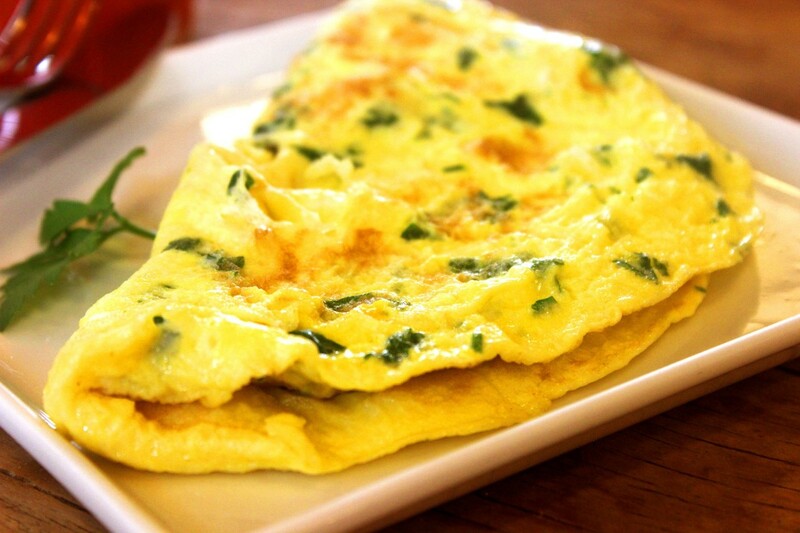 A scrumptious, innovative fusion breakfast item which is a tasty modified version of our daily omelet. When flavored with black pepper and topped with minced green chillies they taste even more yummy. 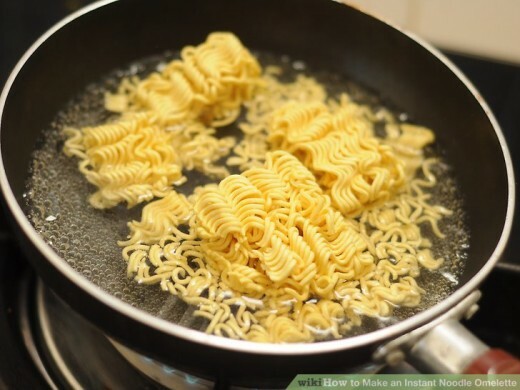 Boil the noodles in a pan containing 5-6 cups of water. Add a teaspoon of vinegar and a pinch of salt to water while the noodles are boiling in water. When the noodles appear to be almost boiled , put off the burner , strain out the noodles and allow the noodles to dry. Then in another pan, add 2-3 tablespoons of refined sunflower oil and allow it to heat. Add the minced onions to the pan and stir for 2-3 minutes. Add chilly sauce, tomato sauce, soya sauce and vinegar one by one to the onions. Cook for 3-4 minutes. Add ½ cup of water to it and stir. To this add 2 teaspoons of salt to taste. Finally to these saucy onions add the boiled noodles. Stir until the sauces stick to the noodles and dry, saucy noodles are prepared. In another non-stick pan, take 2 table spoons of refined oil and heat. 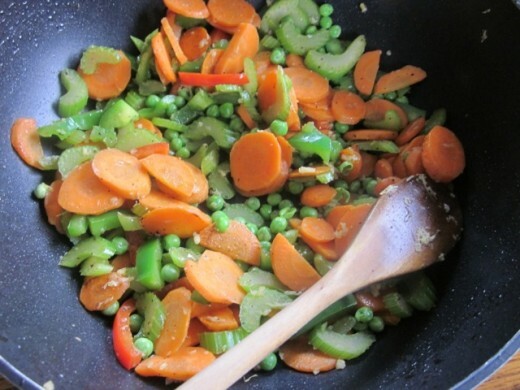 Fry the chopped carrots, peas and capsicum in the oil with a teaspoon of salt. 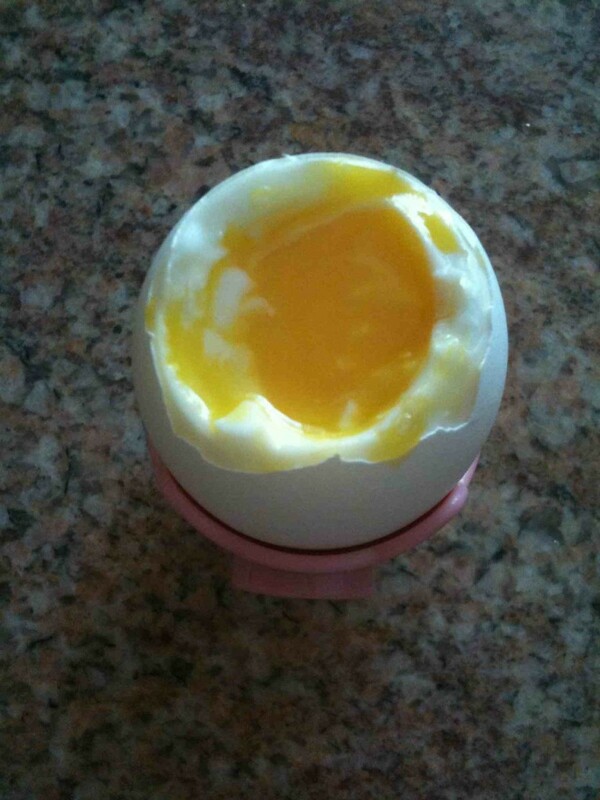 Then take a wide-mouthed bowl and all four eggs in it. To this one by one, add the fried veggies and the dry, saucy noodles. Add ½ teaspoon of salt and blend them together using a spoon or a manual blender. Lastly, take 2-3 tablespoons of oil in another pan and heat. Pour out the blended mixture onto the oil. 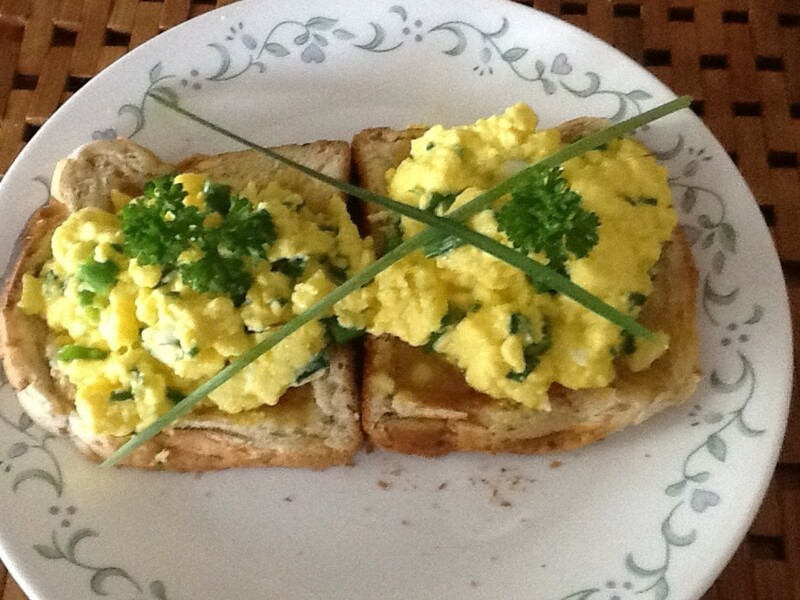 Spread it out like an omelet with the help of a spatula. 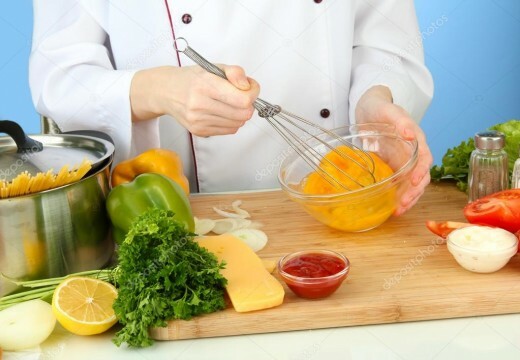 Turn the omelet on both sides with the help of the spatula so that both sides are properly cooked. Serve it after topping it with green chillies and garnishing it with black pepper. 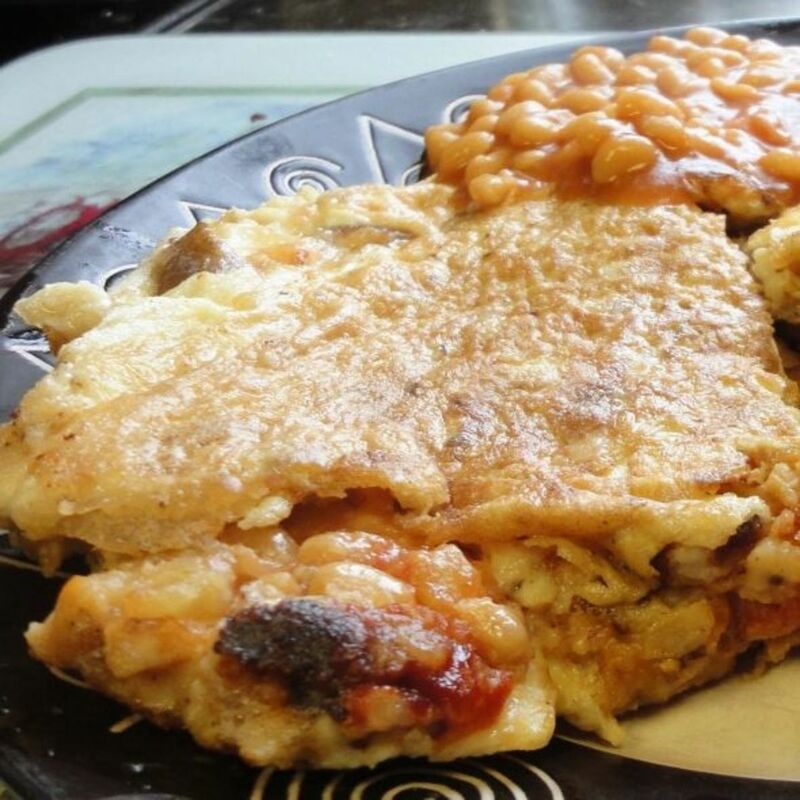 Yields: Serves 1 person a wholesome breakfast. 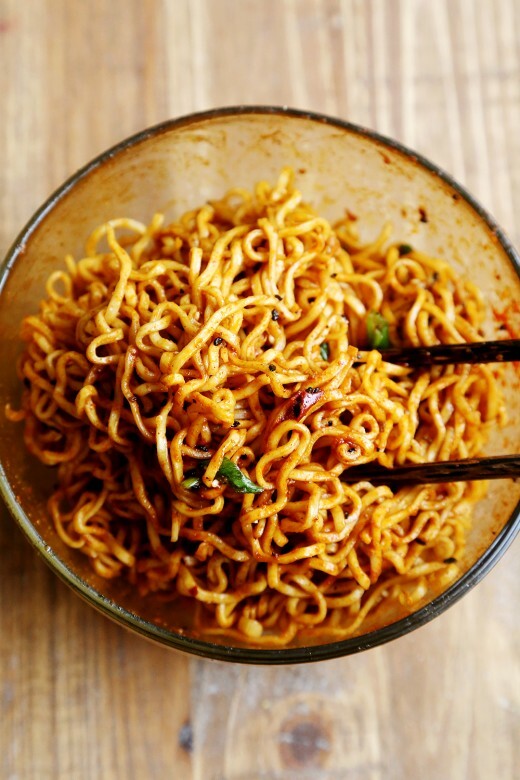 2- Prepare dry, saucy noodles. 3- Fry capsicum , peas and carrots in refined oil. 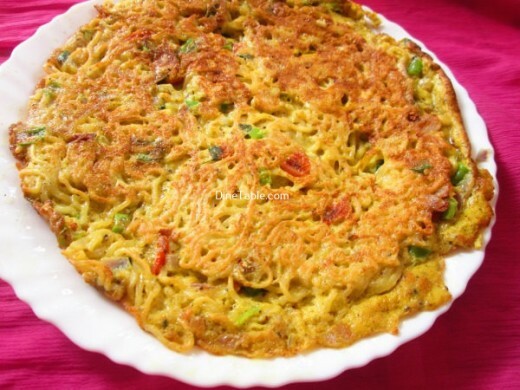 4-Blend 4 eggs along with the fried veggies and prepared noodles. 5- Spread it out in the pan with a spatula and fry the omelet. Thank you Flourish for coming across and liking it. Thank you so much Kenneth for liking the recipe. Have a good day! I love omelets, too. Thanks for sharing your recipe. This is one I've never seen. 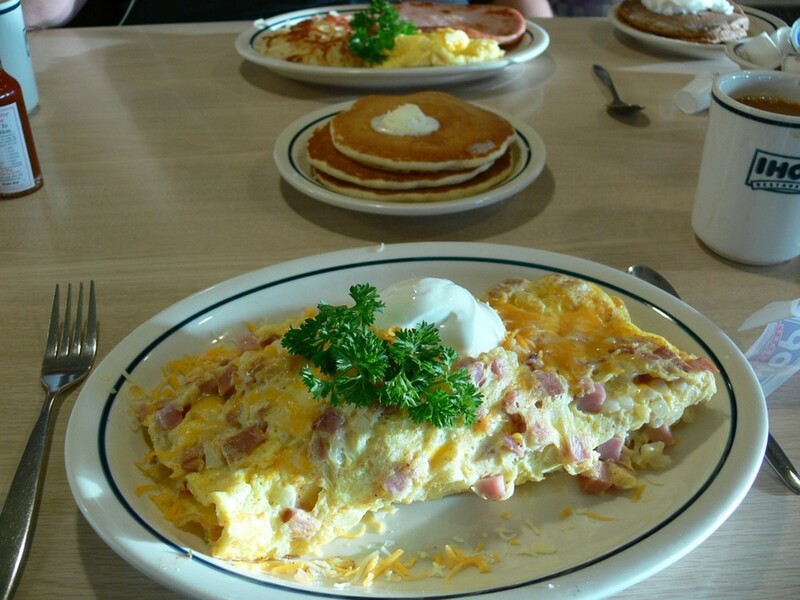 Hi, Debangee, I would dearly LOVE this or any omelet. Yummm. And have black coffee with it in the early morning.